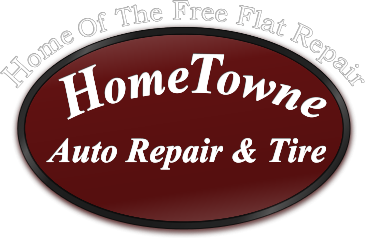 Heather Skerry, a service writer at HomeTowne Auto Repair & Tire, began working in the automotive industry in 2012. 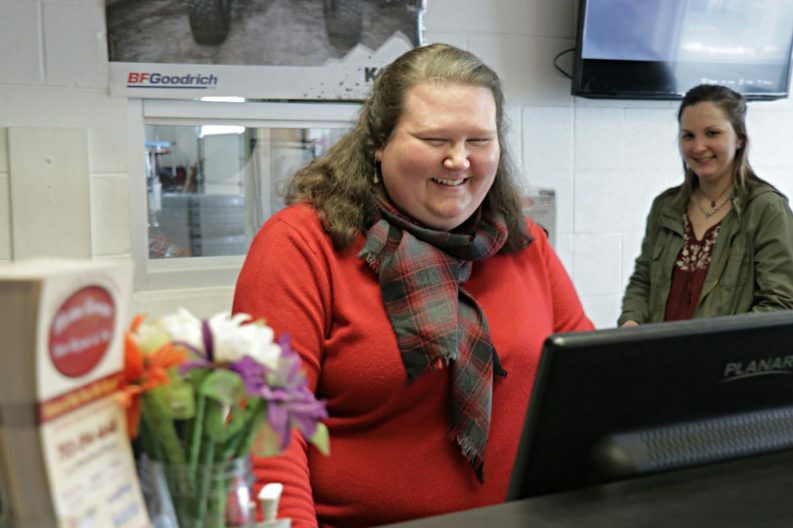 She started out selling cars before transitioning into the service arena. I like it, because it’s a challenge. It’s not something that I knew a lot about, and so there was definitely something that was going to constantly occupy me in the sense of learning. So, you’re mind is being stretched. You’re having to learn this whole new set of skills. I worked primarily in the movie and book industry with what I was doing, so you go from that — which is more artistic and everything — to this mechanical side. You’re having to use a whole other side of your brain, and then also bring in the aspects of customer service, and empathy, and not just downloading information. So, it’s you learning about the information you need to give but then also finding the best way to give that to your customers. So, I like to empower people and I like people to understand what’s going on. So, it kind of gives me the best of both worlds — you know, always constantly learning something new and then getting the chance to help other people out. Well, I came from a fairly large corporate environment … so coming from there to here — there’s a big difference when it comes to the way we’re able to assist our customers, which is a little bit more tailored to their unique experience, what they’re going through. So, there’s things I’m able to do and help out my customers with in a small town sense that I wouldn’t have been able to do in a more corporate environment. I don’t think it’s one of those things where it’s like, “That’s a terrible environment.” It’s just that I’m able to have more ways to help out my customers and change things up, and I have a lot more suppliers I can through to give some competitive pricing. I think it is such a predominantly male-driven type of job — you know, it’s predominantly what most people think, traditionally, this is more for guys. So, I think I’ve experienced the same type of thing that anytime you get into [something] one group of people [are] doing, you’re going to have some push back. But, primarily, I’ve had a lot of people who have supported it. Things have been changing, and there’s are a lot more woman out there who do this job than we think. So, even though there are some times that you get somebody who goes, “I would like to speak to the man,” … predominantly, I’ve had a lot more men and women who feel comfortable, because I don’t pretend to know what I don’t and they can see, as they get to know me, that “Well, she does know her stuff.” You can’t expect people to trust you right off the bat, so you have to earn that trust. Do not be afraid to change the status quo,, don’t be afraid to jump into this. You don’t have to know a ton about it, but if you are going to go and jump into this, get yourself some “How a car works” books. I’ve done that. Find yourself — whether it’s a technician, or whether that’s YouTube or something — to really immerse yourself. You’re going to have to work hard, especially if you don’t come from an environment or a background with it. And that’s on you, that’s on you to say, “I’m going to go that extra step” — and not use a pretty face, or anything like that, but to really know your stuff. And don’t be afraid to stay that you don’t know something. That doesn’t make you weak or unknowledgeable. You’re honest, and people are going to respond to that. So, do the extra time. If you’re working in a shop already, go ahead and find a tech who’s willing to spend time with you. I was blessed that I had a [technician] who did that with me, who took the time — he saw I wanted to learn and he would take me through, and Tommy would be like, “We’re going to go here, we’re going to look at this, look at this, get the hands-on experience.” And then go for it. Have the confidence to take a step, if this is what you want to do.